25Liter total capacity, H20.5" x W12" x D6.3"
As a smallish person, I value things that fit me well. Especially backpacks that have 25 Liters of weight that I don't notice even while riding my motorcycle. 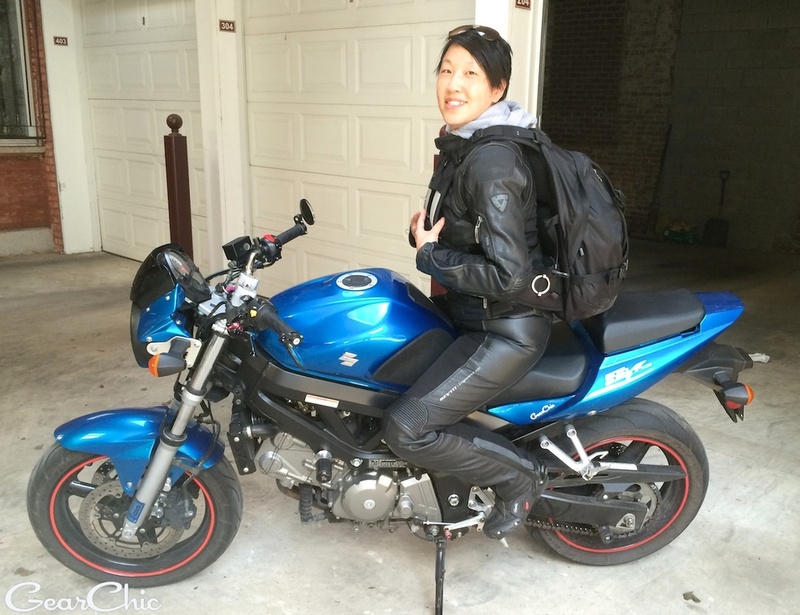 I've ridden with everything from purses, to conventional backpack with waist straps, to courier bags, to messenger bags to laptop bags and everything in between. This Kriega is definitely the Most comfortable one I've worn so far. It's little sister, the R-20 is another great option for a lighter load and lower profile bag. I definitely would have considered that one, but I wanted more storage for possible overnight rides. There's also a very good chance I'm carrying a LOT of stuff with me to work including: a change of shoes/boots, pants, top/jacket and lunch/snacks. Especially in the summer when it's really really hot and humid, I don't like wearing too much underneath my jacket so I bring my 'nice' work clothes with me to change into. The backside is padded for comfort and meshy for breathability. I would say that in general, wearing anything on your back is going to be hotter but having the meshy back helps keep the airflow going even when I'm wearing leather. Honestly, there are better backpacks out there. I mean you can definitely find more technical, organized bags with more compartments and storage. But when it comes to riding a motorcycle, especially anything sporty or in a forward leaning position, the Kriega is fantastic. My favorite feature is this unique front harness and how it angles inward toward my chest. I also love how the straps are mounted strategically so it removes all the weight from my shoulders. There's a huge difference from when you're walking around or hiking, to sitting on a motorcycle with your arms forward or in front of you. 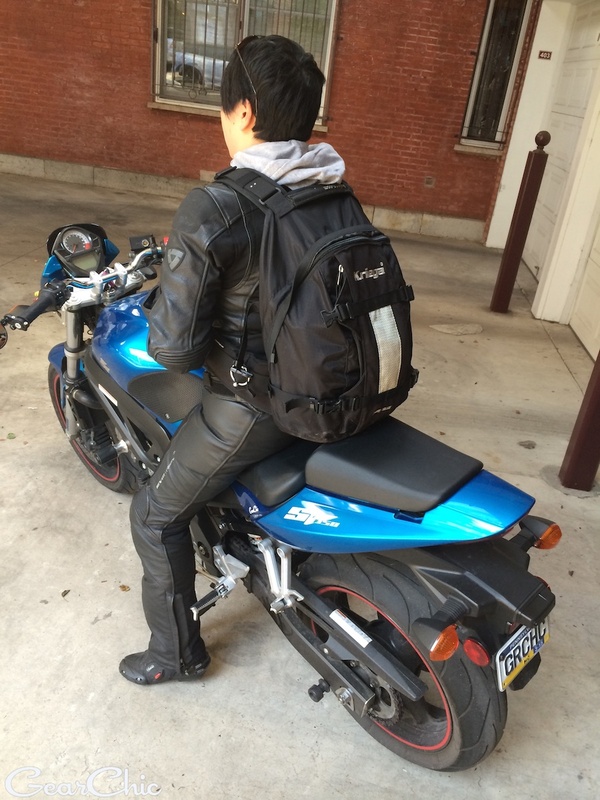 Straps can't be in the same place as other backpacks so you have more range of motion and maneuver the motorcycle especially in front of you. In my mind, that's the one thing that really sets this bag aside from the rest. 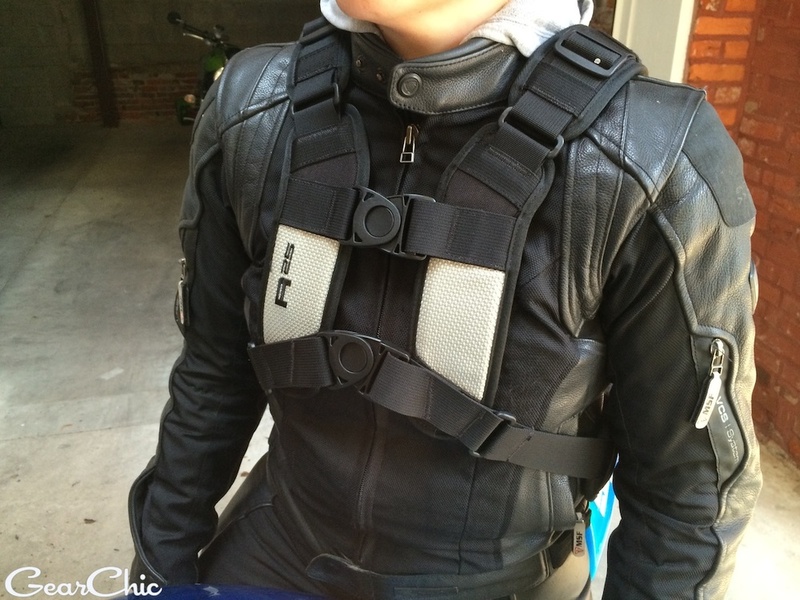 I feel like the R25 is like any other piece of technical motorcycle gear. It's ideal use is on the motorcycle, not off. When you try on a riding jacket for the first time, it feels funny until you hop on a bike and put your arms forward. I've packed this bag completely full and never had any issues carrying it. My husband took it for a long weekend last summer when he brought home hisnew bike. He said it was super comfortable and he even took his 15" macbook pro along for the ride. Although the pocket inside will fit a laptop, I would recommend transporting it in a sleeve inside the bag instead for a little extra protection. His only complaint about it was that it wasn't waterproof at all. My solution for this is taking the drybags out of my Kriega Packs and then filling those up inside the backpack. But I don't tend to ride in the rain here much these days so for me it's not a big deal. If you need something waterproof then I would recommend the R30 or R35. My only complaint really, is the lack of a 2-way main zipper! It only zips from left to right. I'm right handed so I have a habit of swinging it off my right shoulder to open the zipper. Since it's on the opposite side, I just find it annoying to try and unzip it from the far side. 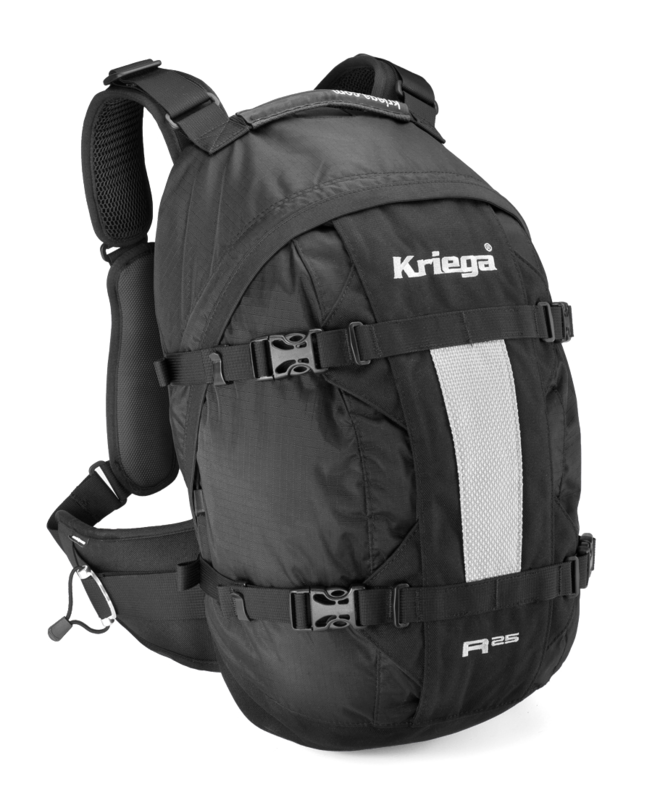 Overall I definitely recommend the Kriega as an excellent riding backpack. Plenty of space for daily riding essentials, and a super comfy fit while riding everything from your supersport to your supermoto. But if you're searching for a highly technical commuter backpack or hiking bag, you may want to look elsewhere. Also check out Kriega's features and fitting video which shows you all the key adjustments and functionality with the optional packs.